These correspondence cards are printed on white board with an embossed line. 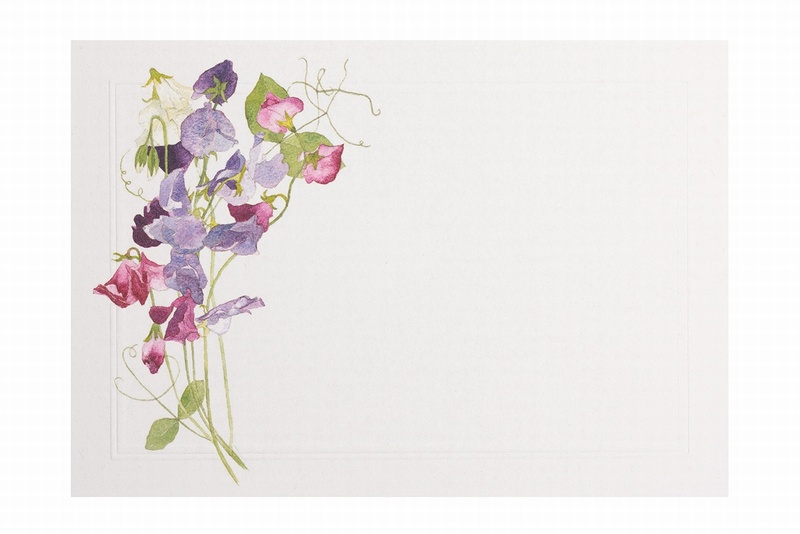 A delicate watercolour image of sweet peas is printed in the corner. Perfect for writing short notes, thank you's or invitations. Co ordinate these with our other sweet pea stationery for your wedding or party.